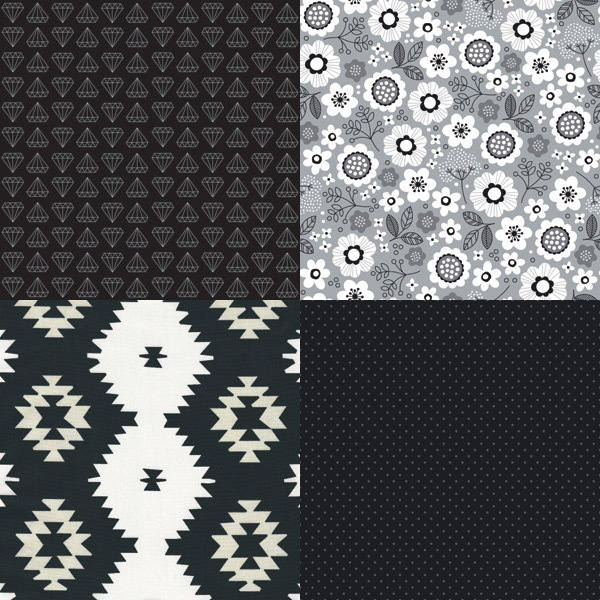 Art Gallery Fabrics ‘Lagom’ Etern Soot LAM-44286, designed by AGF Studio. Distributed by Melbourne Fabric. 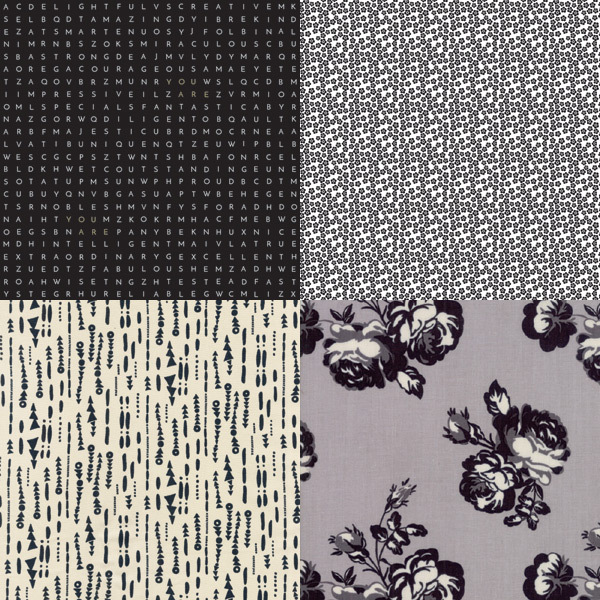 Art Gallery Fabrics ‘Here Comes the Fun’ Sprayed Doodles Noir HCF-69308, designed by Caroline Hulse. Distributed by Melbourne Fabric. Nutex Wholesalers ‘Leafy Meadow’ Leaves 89990, Col 102. Distributed by Nutex Wholesalers. Moda Fabrics ‘Metropolis’ 30563-18, designed by BasicGrey. Distributed by PK Fabrics. Riley Blake Designs ‘Delilah’ Hearts C6963-GRAY, designed by Doodlebug Designs. Distributed by Millhouse Collections. 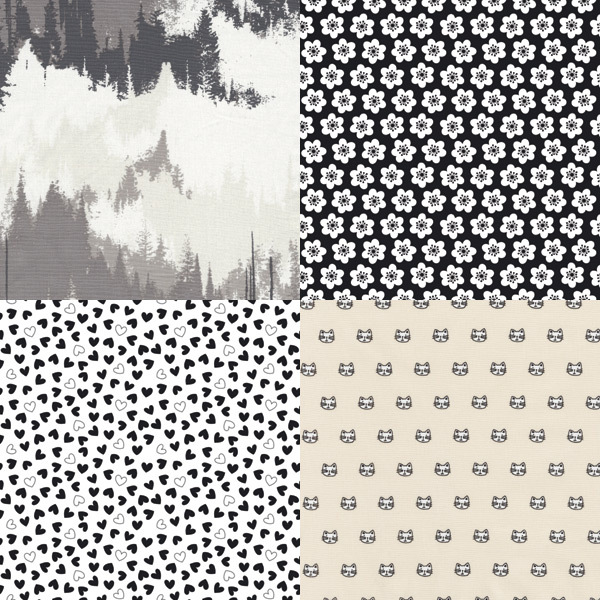 Robert Kaufman Fabrics ‘Whiskers and Tails’ RK179772 (Black colourway). Distributed by Two Green Zebras. Moda Fabrics ‘Urban Cottage’ 31130-11, designed by Urban Chiks. Distributed by PK Fabrics. 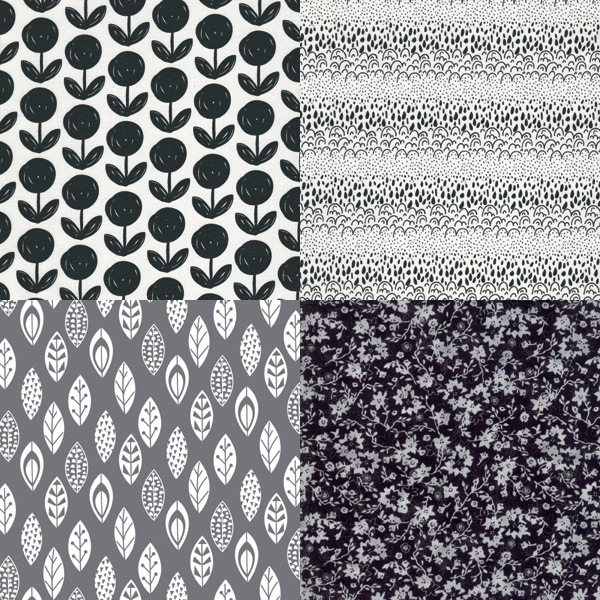 Robert Kaufman Fabrics ‘Arctic’ RK1770212, designed by Elizabeth Hartman (Grey colourway). Distributed by Two Green Zebras. Riley Blake Designs ‘Shine Bright’ Made to Sparkle C6662-BLACK, designed by Simple Simon. Distributed by Millhouse Collections. Riley Blake Designs ‘Delilah’ Main C6960-GRAY, designed by Doodlebug Designs. Distributed by Millhouse Collections. Art Gallery Fabrics ‘Love Story’ Daring Tribal Noir LVS-38802, designed by Maureen Cracknell. Distributed by Melbourne Fabric. Riley Blake Designs ‘Delilah’ Swiss Dot SC6966-BLACK, designed by Doodlebug Designs. Distributed by Millhouse Collections. 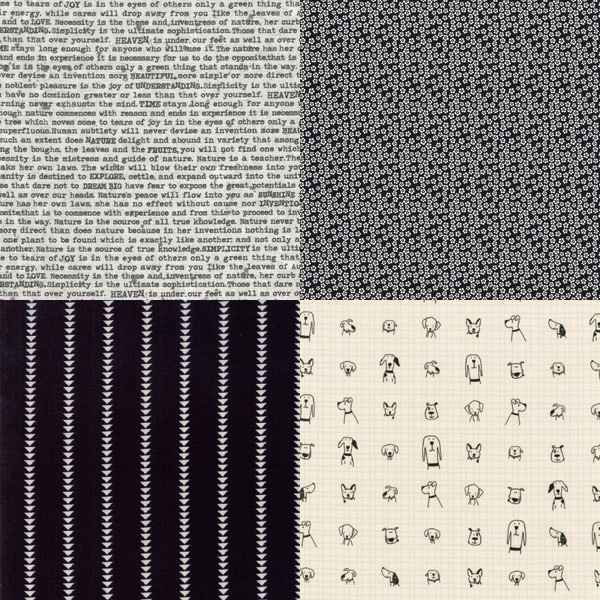 Art Gallery Fabrics ‘Blithe’ Philosopher’s Dreams BLI-85601, designed by Katarina Roccella. Distributed by Melbourne Fabric. 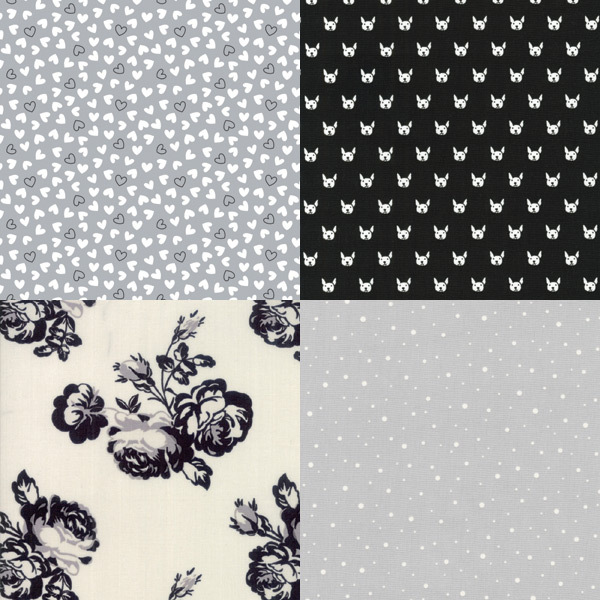 Riley Blake Designs ‘Delilah’ Tiny Flowers C6965-BLACK, designed by Doodlebug Designs. Distributed by Millhouse Collections. Moda Fabrics ‘Urban Cottage’ 31132-14, designed by Urban Chiks. Distributed by PK Fabrics. Robert Kaufman Fabrics ‘Whiskers and Tails’ RK1797814 (Natural colourway). Distributed by Two Green Zebras. 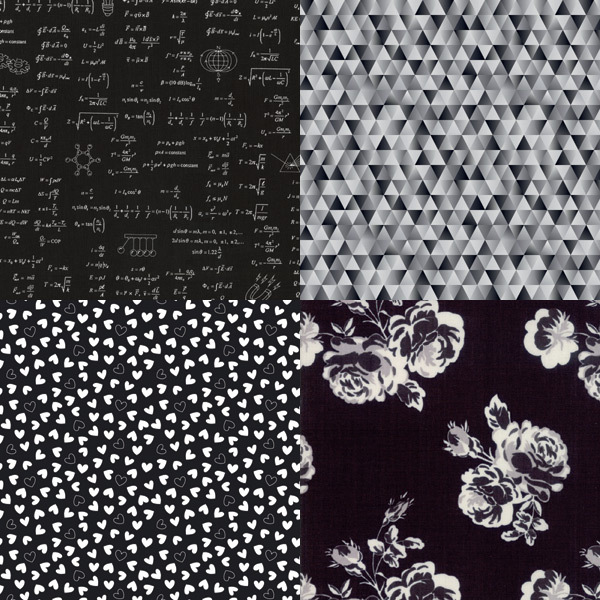 Robert Kaufman Fabrics ‘Science Fair 2’ RK179322 (Black colourway). Distributed by Two Green Zebras. Northcott ‘Majestic’ 22426-95, designed by Deborah Edwards Northcott Studio. Distributed by Lloyd Curzon Textiles. Riley Blake Designs ‘Delilah’ Hearts C6963-BLACK, designed by Doodlebug Designs. Distributed by Millhouse Collections. Moda Fabrics ‘Urban Cottage’ 31130-14, designed by Urban Chiks. Distributed by PK Fabrics. Art Gallery Fabrics ‘Blithe’ Evergreens Dusk BLI-85610, designed by Katarina Roccella. Distributed by Melbourne Fabric. Riley Blake Designs ‘Delilah’ Floral C6961-BLACK, designed by Doodlebug Designs. Distributed by Millhouse Collections. Riley Blake Designs ‘Delilah’ Hearts SC6963-WHITE, designed by Doodlebug Designs. Distributed by Millhouse Collections. Robert Kaufman Fabrics ‘Whiskers and Tails’ RK1797314 (Natural colourway). Distributed by Two Green Zebras. Riley Blake Designs ‘Shine Bright’ You Are SC6664-BLACK, designed by Simple Simon. Distributed by Millhouse Collections. Riley Blake Designs ‘Delilah’ Tiny Flowers C6965-WHITE, designed by Doodlebug Designs. Distributed by Millhouse Collections. 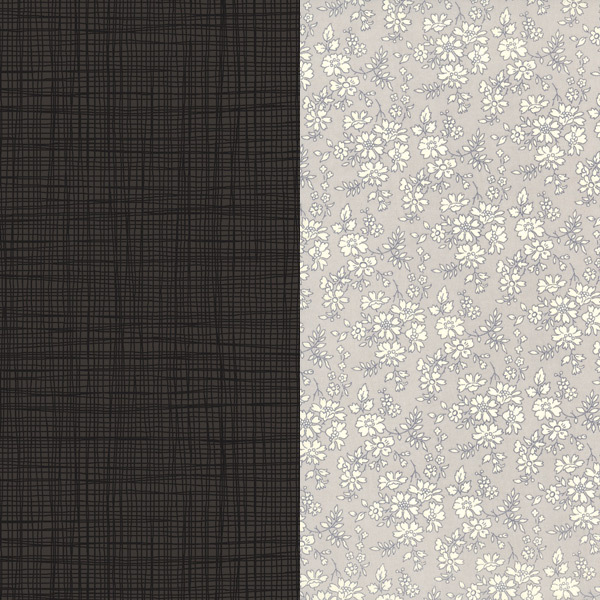 Robert Kaufman Fabrics ‘Forage’ RK17985154, designed by Anna Graham (Champagne colourway). Distributed by Two Green Zebras. Moda Fabrics ‘Urban Cottage’ 31130-12, designed by Urban Chiks. Distributed by PK Fabrics. Makower UK ‘Linea’ M1525X (Black colourway). Distributed by Two Green Zebras. Liberty Fabrics ‘Classic Collection’ Capel K (137cm wide). Distributed and sold by The Strawberry Thief. – Melbourne Fabric: (03) 9636 3516, sales@melbournefabric.com.au, www.melbournefabric.com.au.